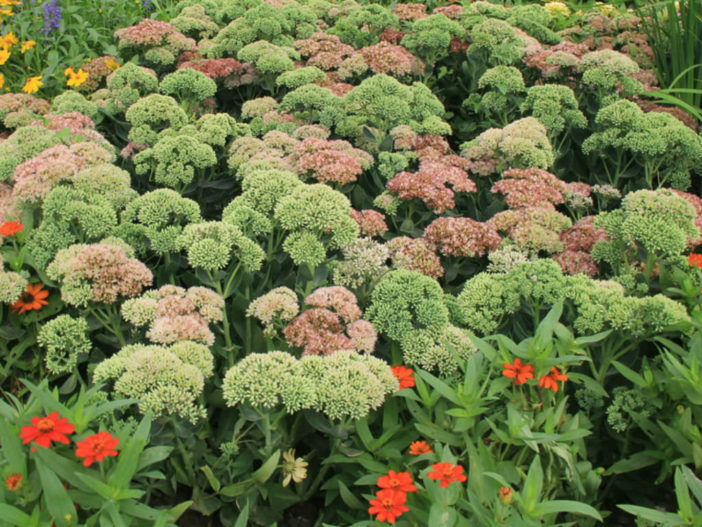 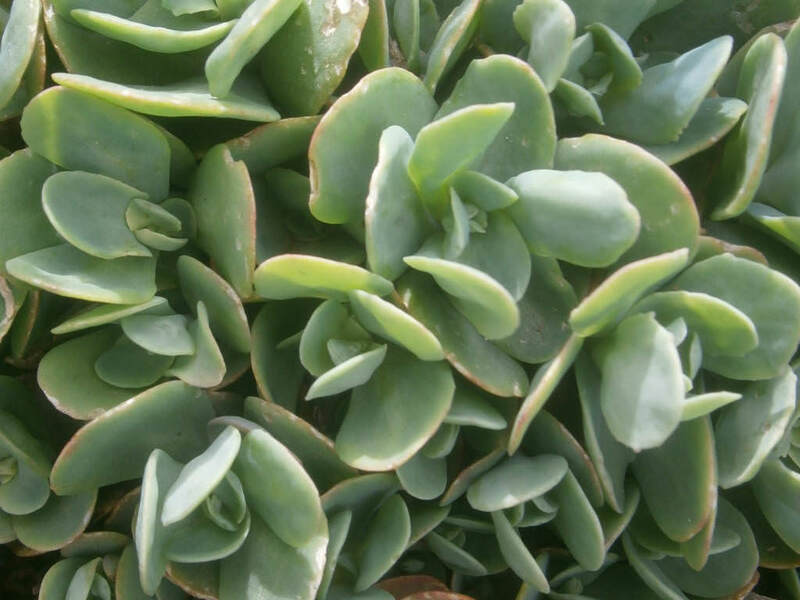 Hylotelephium erythrostictum is a herbaceous succulent perennial up to 28 inches (70 cm) tall. 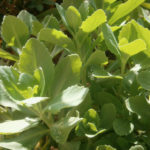 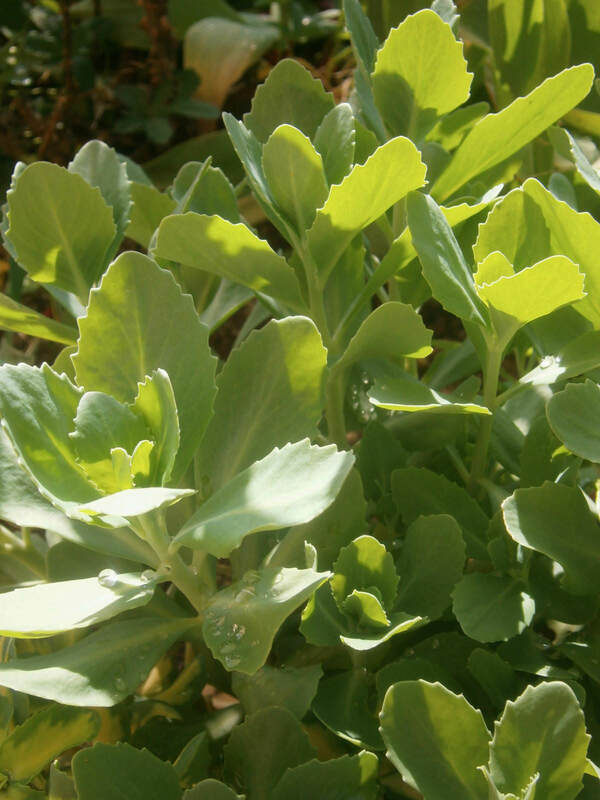 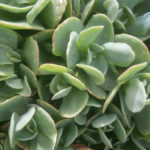 The stem is simple, up to 0.4 inch (1 cm) in diameter with alternate or opposite, sessile, oblong, and succulent, light yellow-green or glaucous-green leaves and up to 3 inches (7.5 cm) long. 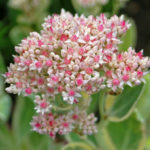 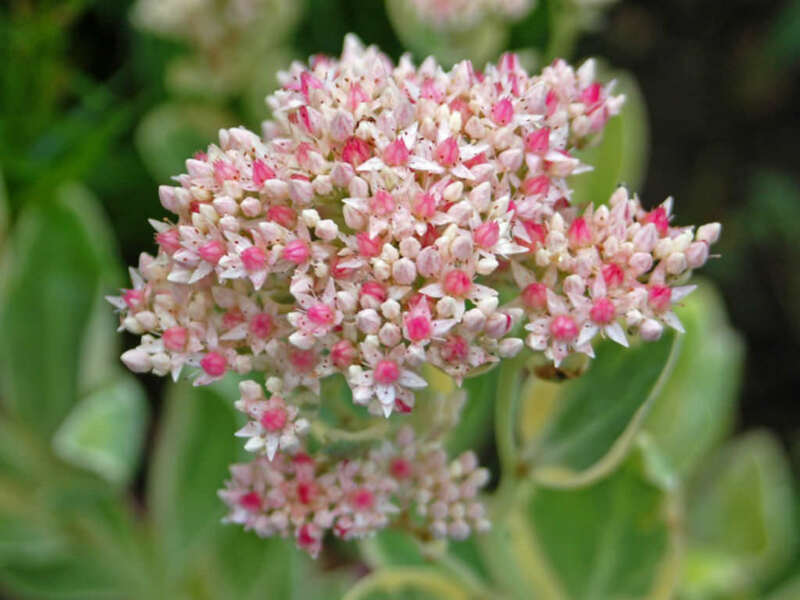 Flowers are tiny, white or pale pink, up to 0.4 inch (1 cm) in diameter, with lanceolate petals.